Thanks to everyone who has signed up for the #MetLifeTakeover! If you haven’t yet make sure you sign up ASAP! But this post isn’t about the takeover, we have another exciting event planned and we have a very unique opportunity to be a part of something HUGE! Through events like our #MetLifeTakeover, the Miami Dolphins have seen just how strong the fan base is around the country and they want us all to participate in a #SunLifeTakeover: the first ever Out-of-Town fan club meet-up! On November 2nd the Dolphins play the San Diego Chargers in Miami and we are all gonna go together! Fan clubs from DC, Atlanta and California are already on board and get to party with all of them! This is going to be an amazing event IN MIAMI and we want the Dolfans NYC crew to roll deep! Let’s show these other fan clubs who represents the hardest! To entice you even more we are offering you some cool rewards on top of what the Dolphins are offering! IN ADDITION TO ALL THE GREAT STUFF THE DOLPHINS ARE OFFERING, HERE IS AN EXCLUSIVE OFFER THAT WE ARE MAKING TO DOLFANSNYC MEMBERS!!! 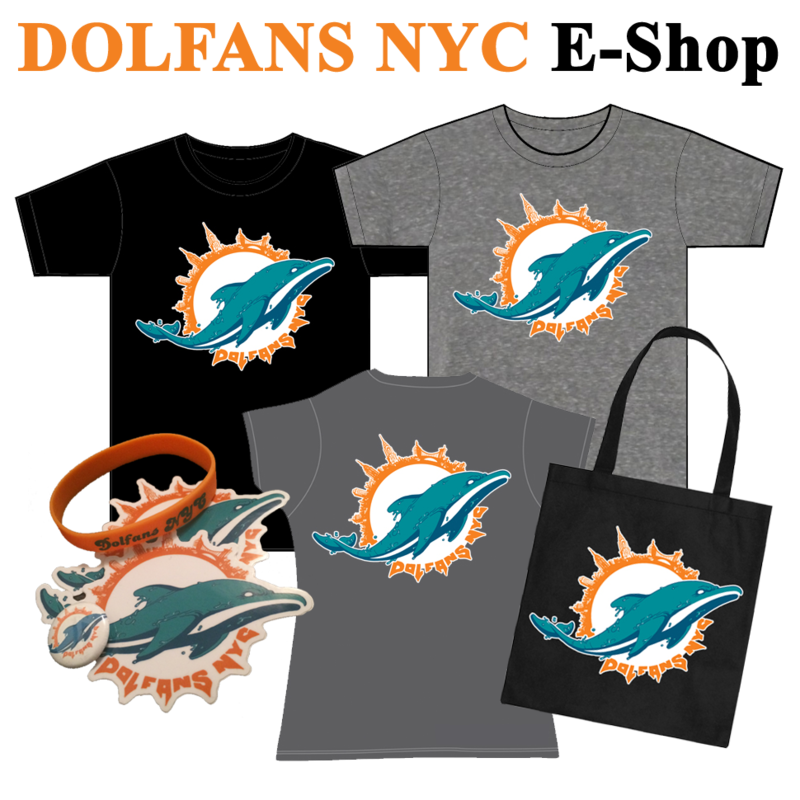 -Everyone who buys a ticket through our group will get a free DolfansNYC tote bag with some fun prizes, as well as a coupon for $5 off DolfansNYC merchandise. – All fans who buy tickets through our link will be entered into a drawing to win various prizes, including: a $100 AmEx gift card, a cleat autographed by Mark “Super” Duper and a DolfansNYC goodie bag! -First 10 people who buy a ticket will get a free DolfansNYC hat or shirt! Renaissance Plantation: $125 per night (800-316-7708) (We recommend everyone book the Renaissance so that we’re all together). So let’s do this! Sign up with DolfansNYC and let’s party in Miami. Click here for the link to buy tickets! And use code “DolfansNYC” when you sign up!